Bankruptcy is a quick way to wipe out certain debts and obtain immediate financial relief. However, a Chapter 7 bankruptcy comes with a catch: in exchange for eliminating debts, the trustee might sell some of your property and give the proceeds to your creditors. Some people attempt to avoid losing property by engaging in bankruptcy fraud. If you committed fraud, the judge can deny your attempt to discharge any associated debt. Note that simply making a mistake in connection with a bankruptcy filing does not constitute fraud. Nevertheless, even innocent mistakes can raise eyebrows, and the trustee might investigate you closely to see whether omitting property was intentional or not. If you knowingly make a false statement in your bankruptcy filing, you can face stiff punishments. In particular, you can be fined up to $250,000 and face up to 5 years in prison. These punishments are reserved typically for the worst offenders. If the trustee suspects fraud, he can make a criminal referral to the FBI or the U.S. Attorney’s Office. If you made a fraudulent transfer before filing for bankruptcy, then the trustee can try to avoid it by filing an adversary proceeding. The purpose of the proceeding is typically to get the property back from the person you gave it to. A creditor can also bring an adversary proceeding to prevent the debt from being discharged if you procured it through fraud. Criminal fraud prosecutions are fairly rare in bankruptcy, but you can never be too careful. Protect yourself by hiring a skilled bankruptcy attorney who will fill out your paperwork thoroughly and accurately before filing it with the court. 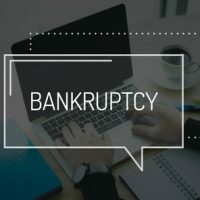 At Nowack & Olson, our team of Plantation bankruptcy attorneys have helped thousands of people successfully go through Chapter 7 or Chapter 13 bankruptcy. We are very familiar with all the requirements of the bankruptcy court, and we are anxious to hear from you. Please call 866-907-2970 or send an online message.